Japanese trumpeter Itaru Oki is one of the forefathers of the free jazz scene in Japan; he was a member of the seminal, experimental Japanese trio ESSG, with pianist Satoh Masahiko, and drummer Togashi Masahiko, an improviser who was a role model for many Japanese musicians. Among them was pianist Satoko Fujii, and trumpeter Natsuki Tamura, who collaborated and recorded with Oki. Oki moved to France in 1974 and since then collaborated with innovative free jazz musicians and free improvisers as drummer Sunny Murray, double bass and synthesizer Alan Silva, and double bass players Kent Carter, and Benjamin Duboc. 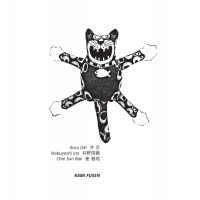 His solo trumpet album Chrui Zukan features Oki at his best. He creates a cohesive continuum between his own original compositions and open- ended improvisations, playful usage of breathing techniques and heartfelt, intimate interpretations of American standards. Oki has a distinct sound and phrasing of his own, experimental and searching yet warm, subtle and with a keen sense of melody. His readings of the standards as "I'm Getting Sentimental Over You," "I Wish I Knew" or "You Are Too Beautiful" are straightforward and emphasize the lyrical side of these beautiful, emotional melodies. His interpretations of Thelonious Monk's "Misterioso" and "'Round Midnight" are simply brilliant. He follows the original themes but with a sense of irony, playful eccentric sounds and touching grace. The free improvisations are innovative and bold. His masterful command of breathing and other extended techniques, unique architecture of sounds and his wise understanding of the options the studio space, turn these pieces into nuanced sonic journeys. 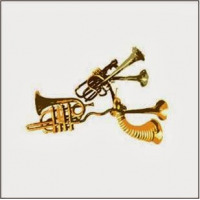 The trumpet on the pieces as "Asagimadara" and "Midorshijimi" becomes a whole new instrument. Its whispering tone brings to mind the meditative sound of the Japanese shakuhachi flute (Oki's father was a shakuhachi player}, and the inventive employment of breathing techniques offer ethereal multi-phonics, rough drones, and dense tongue flutters. Another improvised piece as "Shimokita Blues" highlights Oki's refusal to be locked in any genre, style or convention. He moves freely between a traditional blues scale and an abstract meditation on this form and connects these sonic poles organically. Fascinating and inspirational work of great musician. Track Listing: Janomecho; I'm Getting Sentimental Over You; Oogomadara; I Wish I Knew 1; Asagimadara; Midorishijimi; Misterioso; You Are Too Beautiful; Karasuageha; I Wish I Knew 2; Shimokita Blues; Smiling Mr Nanri; Suminagashi; 'Round Midnight. Personnel: Itaru Oki: trumpet, flugelhorn.